Timothy O'Malley, PhD, is director of the Notre Dame Center for Liturgy in the Institute for Church Life and a concurrent assistant professional specialist in the Department of Theology, University of Notre Dame. He is the founding editor of Church Life: A Journal for the New Evangelization. This accessible book is necessary reading for all engaged in pastoral ministry. It will invite the reader to rethink the understanding of the role of the liturgy in a parish's life. Too often, the church's work of preaching the Gospel is separated from its liturgical rites. O'Malley provides us with good reason to reconsider how we approach both topics. 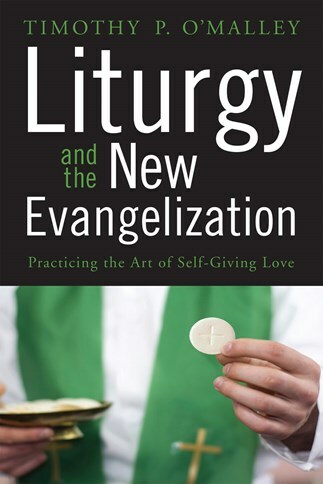 The New Evangelization has a challenging liturgical voice in this book and it deserves wide readership by pastoral ministers and liturgical leaders, both clergy and lay. What would be required for liturgy and the new evangelization to mutually enrich each other, as we all know they should do? I propose it is a synthetic outlook, such as O'Malley provides in this book. Here liturgy no longer plays with its rubrics over in its corner, while evangelization plays with its ideologies over in its corner. Rather, both collide with force in every Christian's life for the purpose of transforming individual lives and all the facets of human culture. O'Malley brings together liturgy, evangelization, doctrine, sacramental catechesis, deification, preaching, and the signs of the time, all in order to light the way to self-gift, which is what the cross demands of us. This wonderfully accessible book holds insights for the layperson and scholar alike. We are taught to deepen the art of love. One cannot do Church ministry today without a good and also faithful grasp of the new evangelization. This word, this vision, this practice of self-giving love cannot be ignored. It cannot be replaced by other projects, works, or strategies. Read this book. Study it with others. Then shape and reshape the good work you do. Anyone who has met Tim O'Malley has experienced his energy, enthusiasm, and commitment to Christian living. Reading this book is to be immersed in these qualities, for this book reflects O'Malley's personal engagement with Christ and his saving work in his own daily living and ministry. Defining the "new" evangelization as renewal of the world through renewal of ourselves, he traces throughout the book how the church's identity and mission cannot be separated, how we are necessarily Christ centered, and how doing good liturgy leads us to the kind of self-giving love that continues the church's mission of salvation.